What Does It Really Cost To Go Bankrupt? Home » Blog » What Does It Really Cost To Go Bankrupt? On today’s show, Ted Michalos talks about the cost of bankruptcy. He begins the show by rethinking the way we look at bankruptcy. Instead of costing you money, he explains that, bankruptcy saves you money because it reduces high debt payments. If you are eliminating overwhelming debt there is actually a net benefit for those who are carrying a very heavy debt load. I don’t know that I accept the premise that it costs money to file bankruptcy; I think it saves you money, it solves a serious problem for people. On our Let’s Get Started segment of the show Ted sticks around to give his rant on for-profit credit counselling agencies and what questions you should be asking before paying any money or signing any paperwork. How are bankruptcy costs calculated? Looking at the technical side of bankruptcy, the amount paid into a bankruptcy is determined based on your income, dependents and any assets that you might own. The government mandates that the cost of bankruptcy increases if you earn above a certain income level, which is adjusted based on your family size. Although the thought of what might happen to your assets scares many people, most of what you own, you keep. There are exemptions under bankruptcy law that protect your furniture, your personal possessions, musical instruments, sports equipment, even your car if it is older and not worth more than a specified amount. If you do have assets you will lose or income above the threshold that might make your monthly payments higher than you can afford, a consumer proposal is an option to lower your monthly payments by making a deal with your creditors to repay a portion of what you owe. Another unknown example of an asset you can keep: RRSP savings are exempt in a bankruptcy except for contributions you have made in the last 12 months. Because of this exemption, Ted advises anyone considering cashing in their RRSP to pay down debt talk to a Licensed Insolvency Trustee first. Even your house isn’t necessarily at risk. There are options if you have equity that can allow you to keep your home in a bankruptcy buy ‘buying back’ the equity from the trustee. If that is not possible, you can keep your home as well as any other assets you have, by filing a consumer proposal. How much does a Trustee in Bankruptcy get paid? As Trustees in Bankruptcy, we frequently get asked how much we make when a client files a bankruptcy or consumer proposal. Our fee is regulated by Rule 128 of the Bankruptcy and Insolvency Act. When you file bankruptcy, there are no up-front costs associated with your first consultation and you are not required to pay any additional funds on top of your regular monthly payments. …whatever payments you’re required to make into the bankruptcy goes into a trust account, which is why I’m called a trustee; and then at the end of the bankruptcy, depending on how much money is in there, it’s proportioned out. First the government gets paid a filing fee to actually file and regulate the bankruptcy and second the trustee gets paid based on the amount of money in trust and the rest is divided among your creditors. How will surplus income affect the cost of a bankruptcy? To determine the cost of a bankruptcy, aspects like family income and the number of dependents in the household are taken into consideration. The government has set thresholds, they’ve set limits for what they think families of different sizes need to have for a reasonable standard of living. Essentially, the more income you have, the more money that you will have to pay into the pot to be divided among your creditors. If your income is over the threshold that the government has set for your family size, then you have surplus income. You will have to make what are called surplus income payments and your bankruptcy will be longer. A consumer proposal can help you reduce your monthly costs of bankruptcy by instead making a deal with your creditors to pay a portion of what you owe. The cost of dealing with a not-for-profit credit counselling agency is that through a debt management plan you repay your debt in full over four years, although the interest on your debt often stops. So, unlike a consumer proposal, there is no ability to settle your debt for less than you owe. the simple test here is if somebody asks you to bring cash up-front for the first meeting, or if at the end of the first meeting they ask you to sign something and agree to pay them cash, you’re in the wrong place. You’re dealing with someone who is charging you a fee for information that you’re entitled to for free. For more information and specific examples about the cost of bankruptcy or a consumer proposal, listen to our podcast or read the full transcript below. If you need help eliminating debt, contact us for a free, no-obligation consultation during which we will provide you with answers on what a bankruptcy or consumer proposal may cost based on your specific situation. 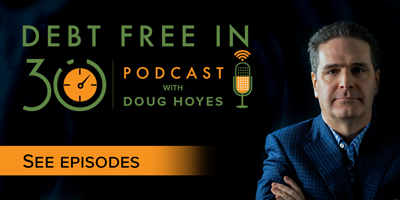 Doug Hoyes: Welcome to Debt Free in 30, where every week we take 30 minutes and talk to industry experts about debt, money and personal finance. I’m Doug Hoyes. It’s the end of the month, so that means it’s time for another Frequently Asked Questions show here on Debt Free in 30. Today we’re going to get the answers to a series of frequently asked questions that deal with the cost of bankruptcy. You might think, well what’s to talk about, you’re bankrupt, you have no money, how can it cost anything? Well, it’s not that simple, so to discuss it, I’m joined once again by my Hoyes Michalos co-founder, Ted Michalos. So Ted, are you ready to talk about money? Ted Michalos: Let’s give it a shot. Doug Hoyes: Okay, so before we talk about what it costs to go bankrupt, let’s start with a more fundamental question: why does it cost money to go bankrupt? The reason you’re going bankrupt is you have so much debt that you can’t pay it, so why does it cost money to go bankrupt? Ted Michalos: I’m not sure I even accept that premise that it costs money. It actually saves you money to file bankruptcy, and I know that sounds a little crazy, but if you’re the average person and owe $50,000 worth of debts, your minimum payments every month are about $1500. And so by filing bankruptcy you’re going to reduce that $1500 payment to an administrative fee, to basically the cost of processing the paper to eliminate the debt. So I don’t know that I accept the premise that it costs money to file bankruptcy; I think it saves you money, it solves a serious problem for people. Doug Hoyes: Okay, so that makes perfect sense. In terms of me being the person who has the debt and I come in to see you and we decide that, after looking at all the options, a bankruptcy is something I have to do, what am I going to have to pay each month? Because there is a cost to doing it, there is a payment I’m going to make. Ted Michalos: There is definitely a payment. The cost is going to be based on your family situation, so how much money is coming into the household, how many people are dependent on that money and what assets- what things do you own that might have worth? The last part usually scares people, but there are lots of protections under the law. Nobody’s going to come to your home, claim all of your furniture, make you sell your car, make you sell your house; we’re going to look to see is there cash available there that your creditors might be legally entitled to, and then we’re going to find a payment plan to deal with it. Doug Hoyes: Okay, so you hit on a few different points there, so let’s kind of break them down. So if I go bankrupt there is stuff that I own that I am potentially going to lose, that’s what you’re talking about? Ted Michalos: That’s the way the law works, but the truth is, very few people ever lose anything. There are exemptions under the law that protect your furniture, your personal possessions, musical instruments, sports equipment, cars, so most people that have to file bankruptcy aren’t looking at losing anything. There’s still a cost associated with the bankruptcy: you’ve got to make a payment based on your family income and size, but it’s rare that somebody loses something in a bankruptcy. Doug Hoyes: Okay, so let’s break it down. We’ll talk about the whole family size and income in a minute, so assets; so if I own a house, are you going to take that away from me? Ted Michalos: So if you own a house and if the house was sold, there’d be any money left over, you’re going to have to pay an amount equal to that into a bankruptcy. UPDATE: Ontario has introduced equity protection for personal residence in a bankruptcy up to a value of $10,000. See more in our post Ontario Protects Home Equity in Bankruptcy. So let’s do some rough numbers: let’s say your house is worth $200 000, your mortgage is $180,000. Well, if your house is sold, there’s no money left for anyone once the real estate and legal fees are paid, and so your house is not going to be affected by the bankruptcy. You’ve got to keep making your mortgage payments, you’ve got to pay your property taxes, you’ve got to pay your utilities, but the bankruptcy is not going to affect your house. Change the example now and instead of having a $180,000 mortgage, maybe your mortgage is $160,000. So now the $200,000 house, we subtract the mortgage, all the closing costs; you probably have $20,000 in equity in that house. So if you filed bankruptcy that $20,000 is going to have to be dealt with. But frankly people in that situation, we counsel them to file a consumer proposal – that’s probably a topic for another show. Doug Hoyes: Well, we’ll talk about consumer proposals maybe in the second segment, but what you’re saying is, when someone comes in to decide whether they’re going bankrupt, you’re going to take a look at the different assets that they own and figure out if they have any realisable value. So the example of the house is a pretty common one – if you sold the house, how much would you get? Doug Hoyes: And is it the same with a car? Ted Michalos: Well, so with cars, if your car is financed, you’re going to have to keep making payments to the finance company, to the bank that’s got it, the car company, whomever it is that loaned you the money in the first place. Unless the car can be sold and there’s more than $5,600 available, nobody’s going to touch your car, because that money is yours by right. So another way of saying that is, if your ownership interest in the car is worth less than 5,600 bucks, then your car’s safe in a bankruptcy, and in- I’ve got to say 99.9% of all bankruptcies now, cars are not a factor. Doug Hoyes: Yeah, because if it’s financed, then there’s almost certainty no equity in it. Ted Michalos: And the finance company doesn’t want it back, because they’ll lose money. All they want you to do is keep making your payments. Doug Hoyes: So two questions there then: if you have a car that’s financed, either it’s a lease or a loan, you can continue making the payments and keep the car, even if you’re bankrupt? Doug Hoyes: Now the second point you said was $5,650 (UPDATE: $6,600 in 2015); what are you talking about there? Ted Michalos: And so remember I briefly mentioned that there are exemptions. Your assets are protected under the law, depending on the type of asset they are. In Ontario where I live, there’s a threshold of $5,650, if your car is worth that or less, or your interest in the car is worth less it’s protected under the law, nobody can take it from you. Doug Hoyes: And so if the car is worth 5,000 bucks, you get to keep it; if you have a car that’s worth 10,000 bucks and there’s a $6,000 loan against it, then the equity is $4,000, that’s less than five, you get to keep it as well in that scenario. Ted Michalos: Correct again, that’s right. 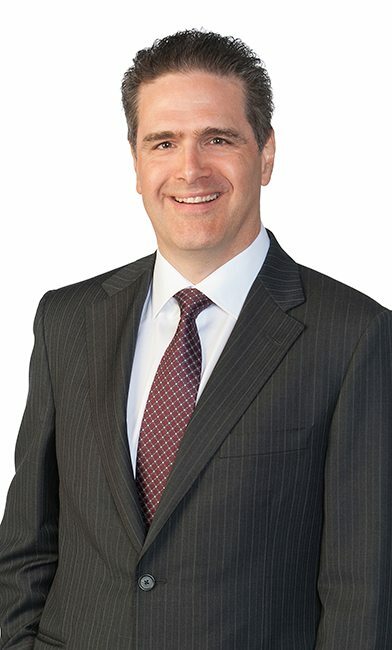 Doug Hoyes: And what we’re talking about here is Ontario law, so if you happen to be listening to this podcast somewhere else in the country, the numbers may be slightly different. Okay, so we’re getting back to this whole what does it cost to go bankrupt? So the first cost we’ve talked about is you lose some of your assets, so if there’s equity in your house, potentially you lose that; if there’s equity in your car, potentially you lose that. What other assets would you typically be taking from someone? Ted Michalos: Well, so the most common thing that people have next is an RRSP, and RRSP have got great protection under the law. If you haven’t made a contribution to your RRSP in the last twelve months, nobody can touch it. And the government’s decided that they want you to invest in your retirement, to save money for later in your life and so now it’s protected under bankruptcy law. The only money that’s not protected is money that you put in in the last twelve months. They did that basically because they don’t want people playing a game, opening an RRSP the day before bankruptcy and putting all their life savings into it. Doug Hoyes: Which makes sense. And often if you’re in financial trouble, you can see it coming, so one of the first things you do is stop contributing to your RRSP, so it’s pretty common by the time you get to the bankruptcy that you haven’t been contributing for the last year anyways. Ted Michalos: Well, there’s a worse side-effect to that too though. Often when people get in financial trouble, the first thing they do is start cashing out their RRSPs, and if they were aware of the law, they’d probably come to talk somebody like you or I sooner, and that money would still be there for them in the future, as opposed to cashing it out to give to a credit card or a line of credit, and then having to come see me anyway. Doug Hoyes: So you raise a good point then, that when you’re in financial trouble, it’s good to get some actual professional advice because dumping or cashing in your RRSP not only is going to increase your taxes potentially, but you’re also getting rid of something that you could have perhaps kept in the future. And then tax returns, how does that work? Ted Michalos: Well, so if you’re entitled to a tax refund for the year you file bankruptcy or any year previous, you’ll lose it in the bankruptcy. So depending on the time of year that you’re filing, you may actually want to wait for a little bit, a couple of weeks to get your tax refund before you start. You’re going to lose one year’s tax refund in a bankruptcy, no matter what you do, and the only way you can justify that is saying okay, so yes, I’m losing my tax refund, but I’m eliminating twenty, thirty, forty thousand dollars’ worth of debt. It’s the cost of doing business. Doug Hoyes: And in most cases, if you hadn’t gone bankrupt, you would have used your tax refund to pay off your creditors anyway, so it’s kind of money that’s gone. So the final topic then in this what does it cost to go bankruptcy discussion is what you mentioned earlier, that it’s based somehow on your income and the size of your family. So what you’re talking about there is surplus income. Walk us through what you’re talking about there, how does that work? Ted Michalos: This part of bankruptcy law confuses a lot of people and it’s not supposed to be intimidating. The concept is simple: the government has set thresholds, they’ve set limits for what they think families of different sizes need to have for a reasonable standard of living. So for example a single person, the government thinks you need around $2,000 of take-home pay to live on. So in a bankruptcy, every month we look to see how many people are in the family, how many people you’re supporting and that’s the little difference. So if you’ve got kids in university and they’re still coming home and raiding the fridge, they’re probably still part of your family. And how much money is coming in, and we compare that to the government guideline. If you’re over the government guideline there are additional payments due into the bankruptcy, if you’re under the government guideline, there are not. Doug Hoyes: And it kind of makes sense, the more money you make, the more you have to kick into the pot for your creditors, that’s really what the concept is. Ted Michalos: And yeah, even more basic than that, the government has decided that if you’re over their threshold for what they think a family your size needs, you keep half, your creditors get the other half. Doug Hoyes: Makes sense, so the answer to the question then about the cost of bankruptcy: number one, you lose some of your assets, but as you said, in most cases that’s really not a factor, because most people who are going bankrupt don’t have a whole lot of assets. Number two, you have this surplus income payment that you have to make; the more money you make, the more you have to pay, and then in a lot of cases there is a minimum contribution that you’re going to make as well to cover the administrative costs if there are no other funds available. Ted Michalos: The government basically has stated – this is not law, but they’ve stated – they expect the minimum contribution to be around 1,800 bucks; they think of trustees charging that or less, that it’s a reasonable number. Doug Hoyes: So in a typical bankruptcy, even if you don’t have any surplus income or any other assets, you’re probably going to end up paying something like $200 a month for nine months. Doug Hoyes: Okay, well, one of the other questions we get asked a lot is how much do you get paid? But before we answer that we’re going to take a quick break and come back with that answer. You’re listening to Debt Free in 30. Doug Hoyes: We’re back here on Debt Free in 30. I’m Doug Hoyes and my guest today is my Hoyes Michalos co-founder, Ted Michalos and we’re talking about the cost of bankruptcy. In the first segment we talked about how the trustee does that calculation; it’s based on how much income you earn, the size of your family, what you own. One of the questions that we often get asked is okay, I get it, that’s how much I have to pay, but how much do you guys get paid? How much do you as a trustee make when I go bankrupt? So explain how Rule 128 works, Ted; how does that all work? Ted Michalos: Well, here’s the first thing people need to understand, you’re not actually paying the trustee a fee. What you’re doing, whatever payments you’re required to make into the bankruptcy goes into a trust account, which is why I’m called a trustee. And then, at the end of the bankruptcy, depending on how much money is in there, it’s proportioned out. Now the first person who gets a payment out of that is actually the government, the filing fee allowing you to go to file the bankruptcy. The second person who gets paid out of that is the trustee, and it’s based on a proportional formula. So the more money you’ve paid into your bankruptcy, probably the more money the trustee’s getting paid, but conversely, they’ve probably had to do more work, and there are limits. But the concept is you’re paying money towards your debts and then once we know how much money is in that pool, we break it up- we break it down to see who gets what piece of it. Doug Hoyes: And that’s exactly how it works, and I think you made a key point there, the government gets the first chunk. Doug Hoyes: That’s always the way it works, and that’s because bankruptcy is a legal process, it’s governed by Federal law and the Office of the Superintendent of Bankruptcy, which is a sub-section of Industry Canada, which is the Federal Government, they regulate everything we do. Ted Michalos: That’s right, they look after making sure that trustees are acting responsibly, that creditors are following the law, and that people who file bankruptcy are properly informed and properly perform their duties. They’re a regulatory body. Doug Hoyes: And that’s why they get the first chunk of money that comes out of the filing. And then the next chunk, as you said, goes to us and so Rule 128 says, well of the next money, the trustee gets the first 975 bucks and then they get a percentage of the rest, up to a certain limit, assuming it’s a standard summary administration of bankruptcy. That’s how much a trustee gets paid. But your point, I guess, is the key one: it doesn’t really matter how much we’re getting paid, what matters is how much do I, as the person in debt, have to pay? And that should all be discussed with you way upfront, before you even file the bankruptcy. Ted Michalos: Well, that’s exactly right. If you don’t know what your payment obligations are going to be, if it hasn’t been explained to you, then I wouldn’t be filing. I mean, this is a legal procedure and surprises in a legal procedure are always bad, so you want to know how that monthly payment is going to be calculated, whether it’s surplus income or an asset, or how it’s going to dealt with. You certainly don’t want to get a letter seven or eight months into your bankruptcy saying oh, by the way, you owe me this much money. I mean, that’ll just drive you crazy. Doug Hoyes: Yeah, and there shouldn’t be surprises, because the rules are all set out by the government. Doug Hoyes: We talked about surplus income in the first segment. The government says here’s how much you’re allowed to make, if you make more, here’s how much you’ve got to pay. So it shouldn’t be that hard to do that math in advance. When it comes to surplus income, so every month you’re sending the trustee your pay stub so they can do that math; what happens if you have a three pay month? Let’s say I’m someone who gets paid bi-weekly, but twice a year there’s a three-pay month, do I end up paying more then as a result of that? Ted Michalos: Yeah. So what happens is, if you’ve never been bankrupt before, the first six months of your bankruptcy you submit these statements and in month seven we average them. And the reason six months was picked, because if you’re paid bi-weekly or weekly, every six months you do get an extra pay cheque, so the idea is by reporting for six months, we get an honest picture of what half a year looks like for you. We then average those out and compare that to the government threshold. So if you have one month where you get an extra pay and it shoots you way over the guideline and you’re thinking, oh no I’ve lost half my pay cheque, but you’re under all the other months, probably when we average it out you’re going to be under overall. That’s what happens in most cases. Doug Hoyes: And so it’s not a big deal. Now you also made the point that if I have a house that has a lot of equity, a bankruptcy isn’t a good idea. You’ve just kind of made the point as well that if you are going to have a lot of surplus income, that means you’re going to be paying a lot more in a bankruptcy, maybe bankruptcy isn’t a great option. You said it before: the option then to consider would be a consumer proposal. So we’re going to talk about the cost of a consumer proposal, but let’s start again with the basic question, what exactly is a consumer proposal? Ted Michalos: The idea behind a consumer proposal is you’re offering you’re creditors a deal. You’re going to repay a portion of what you owe. The catch is, you’ve got to offer them more money than they’d get if you filed bankruptcy, otherwise they won’t accept your deal, and you’ll have to offer them enough to entice them to accept the deal. Right now that means about thirty cents on the dollar in Canada. Doug Hoyes: So the cost of a consumer proposal is slightly more than the cost of a bankruptcy? Ted Michalos: It always is, and that’s because you’re trying to convince the creditors that it’s in their best interest to accept the deal. Ted Michalos: You’re doing pretty good by the way. Doug Hoyes: I’m doing pretty good, I’m doing pretty good. I work a lot of hours though, I put in a lot of overtime, I work Saturdays and so on. So I am going to have to pay roughly how much a month in that scenario? Ted Michalos: Right, so to keep this really simple: your take-home is $4,000, single guy, the government thinks you need $2,000 to live on; you’re $2,000 over, your payment would be $1,000 a month, and you’d be making those payments for twenty-one months. So bankruptcy costs you 21,000 bucks. Doug Hoyes: So a normal bankruptcy, if I don’t have any surplus income, is nine months, but if I’m over the limit, they add an extra year, that’s where you’re getting the twenty-one months? Doug Hoyes: Okay, so I don’t have $1,000 a month, because I’ve got expenses. I realize I’m going to have to pay that, so I come to you and you say well, why don’t you file a consumer proposal instead? Okay, so give me a rough idea of what that’s going to cost me then. Ted Michalos: Well, so the big advantage of the consumer proposal is you can spread those payments over sixty months – five years – and so the first test we have is, you’ve got to offer more than the bankruptcy. The bankruptcy is $21,000; well, $21,000 over five years is $350 a month, so the bankruptcy is $1,000 a month for twenty-one months, or $350 for the proposal for five years. Now there’s a second test: you’ve got to repay at least 30% of the debt, so in this scenario, depending on how much money the fellow owes, he might end up paying more than the $21,000. So let’s say that they owed $50,000, which is pretty typical of people that we see. 30% of $50,000 is $15,000. Well, the bankruptcy’s worth $21,000, so in this case he’d be repaying twenty one, $350 a month. And if you think about it, then minimum payments on $50,000 worth of debt is $1,500. So you’re talking about not having to make a payment of $350; don’t think of it like a cost, it’s you’ve taken your $1,500 a month payment and reduced it to $350. That’s the way you really should be looking at these solutions. Ted Michalos: Yeah, what happens if you do nothing? Doug Hoyes: Yeah, if I do nothing, I keep paying my 1,500 bucks and I’m covering my minimum payments and a little bit, so I’m going to be paying for a lot more than five years. Ted Michalos: Yeah, probably twenty. Doug Hoyes: Probably twenty, and so the proposal makes perfect sense. Now you mentioned 30% – is that in the law somewhere? Ted Michalos: It isn’t, so the Canadian banks have basically told us – told the trustee community – they’re looking for thirty cents on the dollar, and there’s no logic to that. There are times when they will accept less and there are times when they ask for more. But it’s a rough guideline that the industry uses now, and the rationale seems to be that if you’re repaying less than 30%, they don’t want to wait the five years for the money. Doug Hoyes: They might as well just write it off and be done with it. Ted Michalos: Yeah, personally I don’t get it, but they have to have some sort of standard, so okay, we live with the standard that they’ve given us. Doug Hoyes: It makes no sense, and I know in our firm we keep a very detailed list of every bank, every credit card company, every major creditor because some of them are willing to accept a bit less, some of them tend to be a little higher than what you’re talking about, and that’s where you’re getting this roughly one third ratio from. So if you’re sitting there going well, I know how much I owe, I owe $60,000 and there’s no way I could pay back $20,000 even over five years, it’s still worthwhile to come in and talk to you, because if you have one of the creditors that perhaps is willing to accept a little less, it’s worth it. But as a general guideline, that’s where the numbers are. Ted Michalos: Yeah, you have to have something to start with. Doug Hoyes: And that’s a good ballpark figure. So I asked you about bankruptcy, how much you get paid. How much do you get paid in a consumer proposal? Ted Michalos: So on the proposal the trustee receives 20% of whatever the total payments are. There’s also an administrative fee, but I mean it doesn’t usually factor into anything and you won’t be charged that upfront, it comes out of your payments. Doug Hoyes: So that when you said in the previous example it was going to be $350 a month, so I’d end up paying like $400 a month then, is that what you’re talking about? Ted Michalos: No, so you’d pay the $350, the money goes into a trust account. Again, you’re dealing with a trustee, so we collect the money up and every six months we pay it out to your creditors. When we pay it out to your creditors, they pay us a fee of 20% for handling the money. So in the example I just gave you, six times 350 is $21,000; the trustees’ fees on that would be 420 bucks. Doug Hoyes: I always love making Ted do the complicated math. So what if the payment was $423.16, then how much would you make? So does the government get any money? Ted Michalos: The government gets 5%. It’s called a levy and it’s them covering their costs for administering the program, for licensing trustees, to monitoring things. Doug Hoyes: So in a proposal the government gets 5%, the trustee gets 20% (roughly), and therefore the creditors are getting about 75% and that’s how they can do the math to decide if that’s better for them than in a bankruptcy, because obviously in a bankruptcy they’re not getting all the money either. Ted Michalos: And so that’s all good for people to know, but frankly the average person doesn’t need to get hung up on that. What you need to be thinking about is, these are my payments before I start, this is the payment I need to make in a proposal, this is the payment I have to make in a bankruptcy, and you figure out which one makes the most sense for you and your family. Doug Hoyes: That’s a great way to summarize it, a great way to end it. Thanks very much for being here, Ted. We’re going to take a quick break and come back to wrap it up here on Debt Free in 30. Doug Hoyes: Welcome back. It’s time for the 30 second recap of what we discussed today. On today’s show, Ted Michalos explained that the amount you pay if you go bankrupt depends on your income, family size and your assets. In a consumer proposal your payments will average around 30% of your total debts, although that number can be higher or lower, based on your individual circumstances. That’s the 30 second recap of what we discussed today. The simple summary of today’s show is that every situation is different, so expert advice is required, but as Ted said, the monthly cost of a bankruptcy or a consumer proposal may be significantly less than the minimum payments you’re making on your debts today. That’s our show for today. For more information and full show notes, please go to our website at Hoyes.com, that’s h-o-y-e-s-dot-com. Thanks for listening. Until next week, I’m Doug Hoyes. That was Debt Free in 30. Doug Hoyes: It’s time for the Let’s Get Started segment here on Debt Free in 30. I’m Doug Hoyes and I’m joined today by Ted Michalos and we’ve been talking about the cost of bankruptcy, the cost of a proposal; what does it cost, how much do you have to pay each month? And that kind of raises the question, Ted, that wouldn’t it be better then to just go to one of these other options where there are no fees, there are no costs, something like credit counselling or one of these debt consultants or something. Wouldn’t it be better to do that than paying a fee to go bankrupt? Ted Michalos: I think you’re just doing this to get me riled up. That’s what you’re doing. Doug Hoyes: I am, I am. I’m just doing this to [unintelligible]. Ted Michalos: Because there’s no one that’s going to help you for free. I mean it just doesn’t happen. Anything that’s -well you get what you pay for. So let’s talk about credit counselling. There’s two ways you can look at this – there are the not-for-profit credit counselling agencies and they’re available in most major cities in Canada, that’ll help you restructure your debts. You can do something with them called a debt management plan, where there’s no new interest on the debt, you repay your debt in full over four years. There’s a cost associated with that; you’re repaying your debt in full over four years (I can do the math and tell you the payments if you give me an example). There’s another type of credit counsellor out there that are for-profit, that, you really don’t want to get me started on these guys because sooner or later I’m just gonna call them crooks. Oh! I guess I just did. Doug Hoyes: There you go, you just did! So, that’s okay, you didn’t mention a specific name so I don’t think – we can’t get sued for that probably. Ted Michalos: You want a list of names? No, I guess I better not do that, there’ll be a lawsuit. Doug Hoyes: So if I go to a not-for-profit credit counsellor, let’s start with that example, there is still a cost to that. Ted Michalos: That’s right, so let’s – in the previous segment we were talking about somebody that owed $50,000, in a debt management program at a not-for-profit credit counselling agency, your monthly payment would be about $1,100 to deal with that $50,000. So there’s no new interest, you’re paying down the debt, but you’ve got to pay the $50,000. Doug Hoyes: And they often will put an administrative charge, it might be 10 bucks a month or something on there as well, depending on the agency. Ted Michalos: Yep, they might ask for a donation on top of that, too. Doug Hoyes: But in a debt management plan you are paying 100 cents on the dollar, in a consumer proposal as you said, the average payment is somewhere around a third. Ted Michalos: Yeah. Well let’s carry it through the example. So, if you don’t do anything and you keep paying people at $50,000 it’s costing you $1,500 a month, the debt management program over four years is going to be $1,100 a month, the consumer proposal was $350, the bankruptcy again was going to be $1,000, but it was only for twenty-one months. Ted Michalos: Significantly lower, total. Yup. Ted Michalos: But from a cash flow perspective, you’re probably looking at the proposal as the most reasonable one because $1000, who’s got $1000 a month? Doug Hoyes: It’s a no-brainer. Now you talked about the for-profit, you know debt consultants. Ted Michalos: I hate these guys. Doug Hoyes: So, why? Why do you hate these guys? Ted Michalos: Well the problem with the debt consultants isn’t what they’re doing. The service that they provide is actually of some value, they’re educating the public. But they’re doing it with a level of deception. So they run ads that say, I’m not a Bankruptcy Trustee, come talk to me, I’m going to reduce your debt by 70%. All of that’s true, but the way they reduce your debt by 70%, is they take a fee from you, meet with you once or twice and then refer you to a trustee to do a consumer proposal. So why would you want to pay the fee if you can go straight to the trustee and they’re not allowed to charge you that fee? Doug Hoyes: A trustee can’t charge you a fee up-front is what you just said? Ted Michalos: They can’t charge you a consultation fee. It’s got to be included in the disclosure to the creditors and the amount of money they are collecting for the creditors. Doug Hoyes: Whereas, a person who is not a licensed trustee and like you say, that’s something they brag about in their ads. Ted Michalos: They’re very clear about that. “I’m not a trustee,” because going to see a trustee scares people. Doug Hoyes: And so as a result, they’re not – they don’t have to follow the same rules a trustee has to follow. Ted Michalos: As far as I know they don’t have to follow any rules. Doug Hoyes: Because they’re not regulated by anybody. Doug Hoyes: So they can charge you whatever fee they want up-front, and off they go from there. Ted Michalos: And typically what they do is they look at your debt load, they try to guess what your proposal payment to the trustee is going to be to deal with that debt, and they’ll charge you three or four months’ worth of those payments. Ted Michalos: You’re looking at $1,200 to $1,600 in a fee to the debt consultant before you see a trustee. Doug Hoyes: And they won’t even refer you to the trustee until all that money is in their jeans. Ted Michalos: Yeah. The simple test here is if somebody asks you to bring cash up-front for the first meeting, or if at the end of the first meeting they ask you to sign something and agree to pay them cash, you’re in the wrong place. You’re dealing with someone who is charging you a fee for information that you’re entitled to for free. Doug Hoyes: So, what questions would you ask then when you’re sitting in front of somebody like this to find out if they’re legit or not? Ted Michalos: Well, so the first question’s a really basic one: does this cost me anything? And if the answer is yes, probably you’re talking to the wrong people. Ted Michalos: Yeah, ABC Debt Re-organizers. Are you ABC Debt Re-organizers, is that a trustee? Well the answer is no, it can’t be because trustees have to be named after people or accounting firms. So there’s no such thing as the ABC – I mean that’s not my name, right? Ted Michalos: At least last time I checked. Doug Hoyes: And so what you can do as a consumer then is, (and I’ll put links to this in the show notes) you can go on the Office of the Superintendent of Bankruptcy’s website and you can look up to see if that person is a licensed trustee or not. Doug Hoyes: And if they aren’t, then obviously it’s not legit. Ted Michalos: Hey, if you’re comfortable paying them the fee, go ahead. What I’m telling you is if you call the trustee directly, you wouldn’t have to pay that fee. Doug Hoyes: That’s a great way to end it, thanks very much, Ted for joining me on the Let’s Get Started segment on Debt Free in 30.